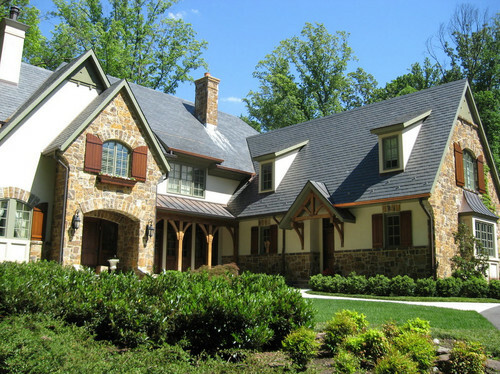 This new home, built by Bradbern Construction of Rockville, MD features Weather Shield windows supplied by Quality Window & Door. 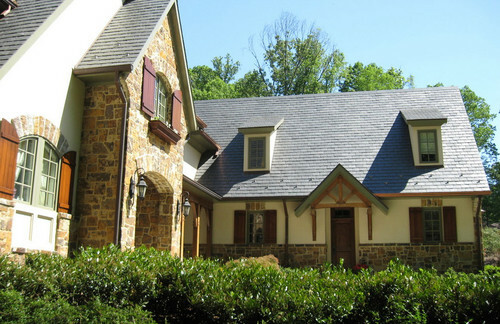 The home features a number of window styles designed to blend with the home’s English cottage design. 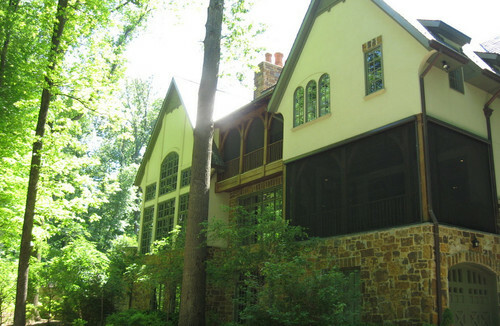 In this photo, we see quarter round windows, double hung windows, and direct set windows with a light green aluminum-clad exterior designed to blend with the home’s natural features. The rear of the home features expansive windows, giving the homeowners great views of the natural surroundings. This side of the home contains a number of geometrical windows including arch top windows, quarter round, and rectangular direct set windows. Another view of the front of the home with a better view of the dormer windows on the front of the home. 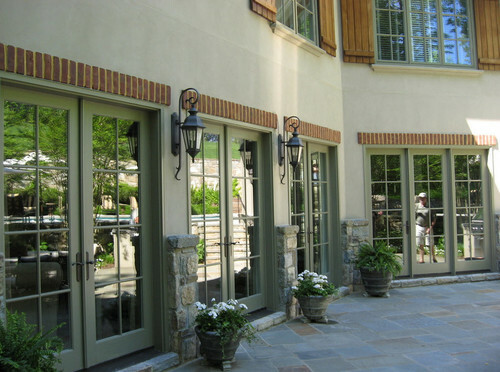 In this photo, we see a series of Weather Shield hinged patio doors that lead to the home’s spacious side patio area.